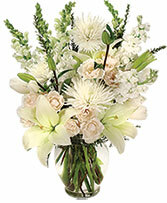 CRISP WINTER SKIES Flower Arrangement in Presque Isle, ME - COOK FLORIST, INC. Doing the Dozen in a Christmas Theme. 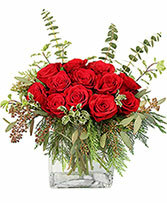 This design enables you to have a dozen red roses as a table centerpiece.